So goes the ballad of the Cascade Lakes Highway, “The High Road,” by local musician Dennis McGregor. The highway, lakes, resorts and recreation certainly provide a haven for those seeking to distance themselves from city life. To hear him sing about it is to realize that the highway is much more than a black ribbon through the forest. 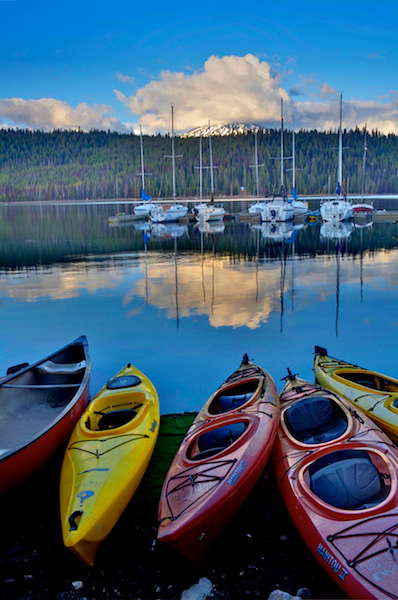 It is a road to countless trails for hiking, lakes for fishing, paddling and swimming, with old school lake resorts and campgrounds sprinkled throughout. The Cascade Lakes Highway winds south from Mt. Bachelor to Highway 58 and just to the east of the ridge dividing wet Oregon from dry Oregon. It takes you just as close as you can get to the great outdoors and true wilderness. Before there was a Cascade Lakes Highway, there was Century Drive. It was about a hundred miles long (hence the name), stretching from the southern city limits of Bend south to Highway 58, which heads west to Eugene. Before that, Century Drive was a mixed route of horse trails and wagon roads blazed by early explorers, including the legendary John Fremont and Kit Carson. Trappers made their way here in the early days, seeking beaver for their pelts to make hats worn half a world away in England. The many lakes and creeks across this landscape were home to Oregon’s namesake beaver, many of which still populate the area. Just west of Mt. Bachelor, the volcanic peaks of South Sister and Broken Top beckon where the Cascade Lakes Highway formally begins. 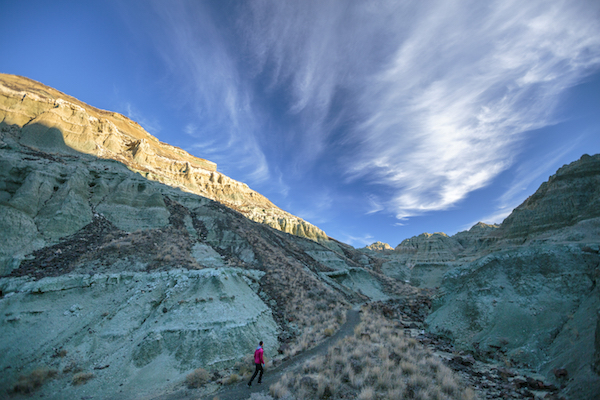 These are among Central Oregon’s most-climbed peaks—relatively easy ascents but, as with any mountain climb, they offer their share of challenges. The first of the many high country lakes, Todd Lake, is near milepost 23. There’s a trail to both Broken Top and South Sister there, but a more direct ascent begins at the Green Lakes Trailhead, at about milepost 26. You can camp nearby at the Soda Creek Campground along the shore of Sparks Lake to get a head start on the climb. The highway turns south at the western shore of Devils Lake at about milepost 28. Devils Lake is a small, beautiful lake with emerald green hues that help tell the story about the lure of this wonderful drive. It’s worth the stop to check out the crystal clear water, and there’s plenty of access. Though this road takes you into wilderness, some of the prizes of civilization are near at hand. 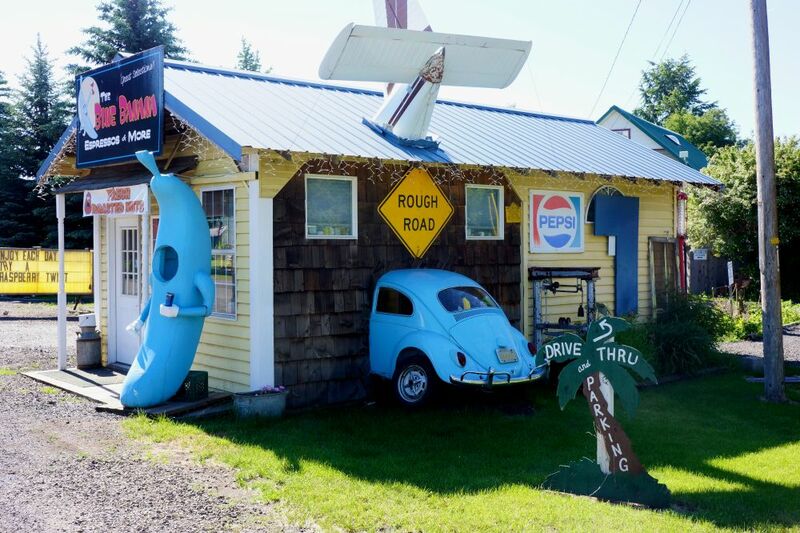 You can find food, music and merriment at milepost 32, where Elk Lake Resort serves up fun come summer or winter. In winter, when the road is closed, you’ll have to ski or snowmobile in, but in summer you can drive right in. Saturday night features live music from bluegrass to reggae, and the restaurant fare runs from barbeque to free-range chicken. lakes you encounter along the way. Just south of the trailhead, the eastern turnoff takes you to Hosmer Lake, known for its pristine fly-fishing. Atlantic salmon, brook trout and rainbows make their home here. They are easy to spot as you paddle (electric motors allowed, only while fishing) but can be very tough to catch. Anglers consider this a special lake, and you will, too— especially if you bring mosquito repellent. The Cultus Lake turnoff is near milepost 47. Here Dan and Sandee Campbell run Cultus Lake Resort. They’ve been operating this rustic getaway for about sixteen years. Campbell was a general contractor and decided he wanted to try something different. He and Sandee considered five states for their new life before settling at Cultus Lake. “The lake is spring fed and the clarity of it never changes,” says Campbell. “Coming here is like coming home. 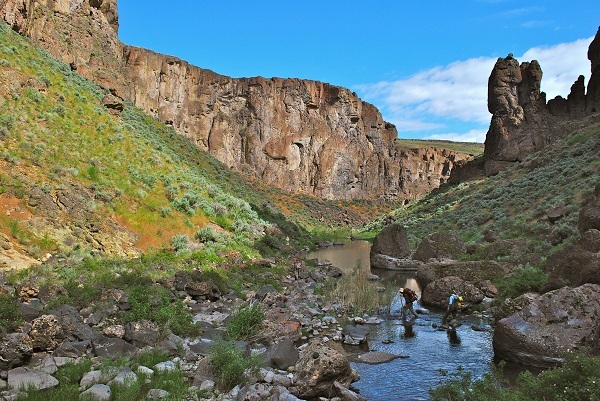 It’s a great feeling.” The resort has fishing, sailing and hiking in the midst of the Three Sisters Wilderness. At milepost 47 or so is the Quinn River Campground of the Crane Prairie Reservoir. The lake is an impoundment of the Deschutes River, the Cultus River and a couple of smaller creeks. Old snags, the remains of trees that were drowned in its creation, now provide great cover for big rainbow trout the locals call “cranebow trout.” It’s also a great place for a quick dip or a long-distance swim. Milepost 52 brings an intersection with S. Century Drive that heads back to Highway 97, or to Wickiup Reservoir. It, too, is a man-made reservoir with trophy-sized brown and rainbow trout. During the midsummer months, it transforms into a recreational lake where high speed watercraft crisscross the water. If you’re traveling southbound, Davis Lake is the last of the Cascade Lakes along this highway. The East Davis Lake Campground is at milepost 64, and the West Davis cutoff is at about milepost 66. Davis Lake is another fly-fishing only spot, and offers a selection of big trout and largemouth bass. With some fire damage in the area, camping might be a bit challenging for a while, but anglers find trophy fish here. 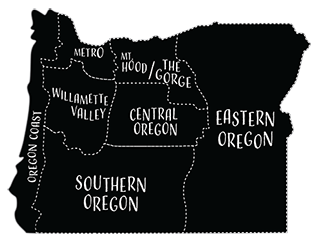 The highway ends around milepost 68, where you have the option of turning west toward the Willamette Valley or east toward Central Oregon. You could also turn around and do it all over again. By name, it’s the Cascade Lakes Highway, and in Oregon, there’s no road quite like this National Scenic Byway.